Family and friends of Nan Hadley ( Nanette Brumfield ) are raising money to pay for uninsured medical expenses associated with an urgently needed liver transplantation. Nan is a cheerful and loving wife and mother, born and raised in Texas, who moved to Massachusetts in 2002. Nan served as the Business Manager for Saint Mary’s Church from 2002 until illness forced her to give up her calling in 2015. She has a husband, Rick, and a young son, Henry, who love, need, cherish and support her. Nan suffers from non-alcohol-induced liver failure, which has recently made a new liver necessary to keep her alive. Due to the long wait time for a liver from a deceased organ donor, Nan’s best hope is to receive a liver from a living donor. Her family and friends rushed to be tested, and after many tries, only one candidate, Robyn Blum, passed all the criteria for donation. While waiting for the surgery, Nan is undergoing frequent tests and procedures to bolster her health. She has already endured two operations in attempts to alleviate her pain and suffering, but both have failed to rid her of near-constant pain. Many people would have given up, but Nan has such a strong will to live that she keeps fighting, though every day is a struggle. Her love for her family, and the hope for a brighter day after recovery, keep her going in these trying times. Her donor, Robyn, will give about 60% of her liver for her friend. A living donor must undergo a major surgery, which requires three to six months of recovery time. The most recent statistics on living liver donors give Robyn a 1 in 3 chance of serious complications and a 1 in 200 chance of death. She will be left with a twelve-inch scar. Her husband will lose work time to care for Robyn and their children at home. Nan has told Robyn that she is crazy to take on such risks with a loving husband and four adoring children, but Robyn is undeterred. She knows that Nan would do the same for her had there been the same need. Robyn and Nan are placing her faith and trust in God, that He will use these trials to show his love and to work His divine plan for his glory. It is our hope that upon reading this, you join in to support these two beautiful women and their loving families. Even with insurance, medical expenses keep accumulating. Deductibles, co-pays, medications and non-covered therapies add up quickly. 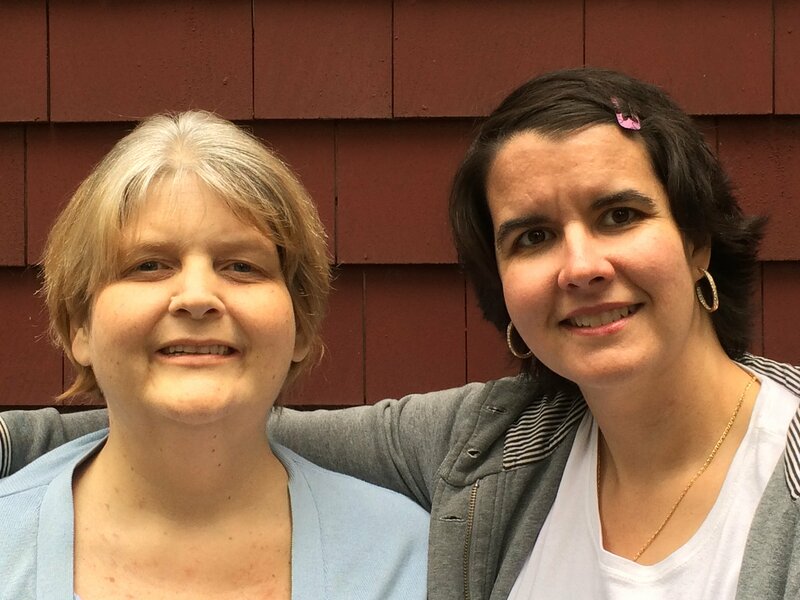 Donations relieve these financial burdens and will help both Nan and Robyn return to health after this life-saving operation. Nan has chosen to fundraise with HelpHOPELive in part because HelpHOPELive assures fiscal accountability of funds raised and tax deductibility for donors. Donors can be sure that funds donated will be used only to pay or reimburse medically-related expenses. To make a tax-deductible donation to this fundraising campaign, click on the Donate Now button. May the good Lord richly bless you. Please remember Nan and her family in your prayers. Thank you for kindness! Christmas Eve 2015 – Thank you to HelpHOPELive for getting our page up and running! Donations made through this site are classified as tax-deductible.